Let’s get one thing straight: I am not a fan of any wine. We’re talking reds, whites, and rosés (and any other colours I have not familiarized myself with). After a great deal of persuasion from a close friend, I was introduced to the pinnacle of all wine (for non-wine drinkers, that is). 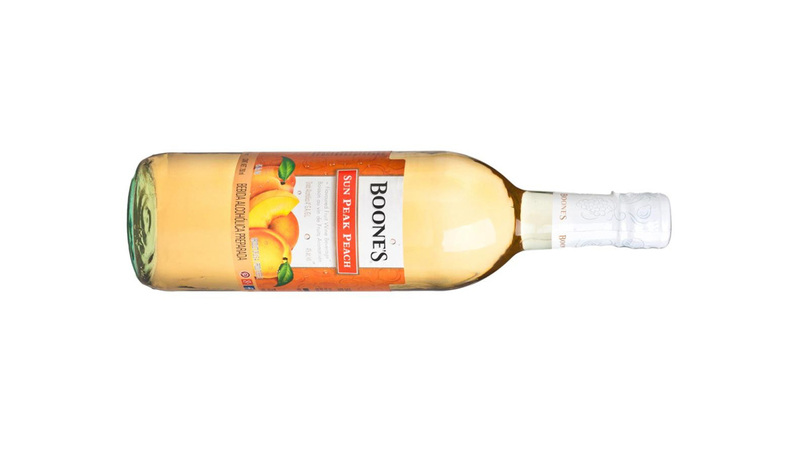 I present to you: Boone’s Sun Peak Peach. Now, I use the term “wine” very loosely with this magical beverage because, although it explicitly says “wine” on the label, it more closely resembles alcoholic, fruity liquid gold. I was immediately drawn to this drink because it allowed me to appear classy and sophisticated among my social circle (because wine is designed to be classy and sophisticated, of course). The best part is that you can sip away at your golden juice while mindfully deceiving your friends into thinking you are drinking some phenomenal wine, especially if your friends don’t already accept your non-wine-drinking ways. Honestly, no one would probably know the difference just by looking at it; it comes in a wine bottle, resembles a white wine and — the most telling detail — it says “wine” on the label. Another fantastic thing about this wine is that it will help you through those often caffeine-fuelled, tear-filled all-nighters that you put yourself through in order to finish a last-minute essay or help you survive finals week. And for $6.99, where can you go wrong? You get the most bang for your buck. Now to address the satisfying taste and lovely smell. After a quick sniff and swish of the golden liquid in my glass, I was able to come to the following conclusions. My taste buds were delighted by the sweet but subtle notes of delectable peach among the sharp notes of carbonation, which, taken together, allow for it to eagerly slide down your throat without a second thought. And for those of one who dislike peach, fear not, because this wine is offered in a variety of flavours: strawberry hill, apple blossom, mango grove, blackberry ridge, wild raspberry, and so many more. So grab a bottle and get drinking.